Dance has been Michele’s passion since the age of five. Growing up she studied jazz and ballet but became interested in partner dancing during the disco/hustle era. For years Michele participated in regional competitions and shows which led to a full-time ballroom teaching position at a Fred Astaire Dance Studio and then eventually in 2001, to opening up her own studio. 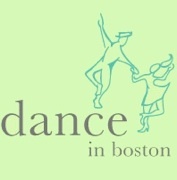 Michele has taught adults and children, private and group dance lessons in Brookline and the greater Boston area since 1993. Ballroom, Latin, swing and freestyle are among the ten different styles of dance she teaches. Whether you are preparing for your wedding, need entertainment for a party, want to enter a competition or just learn a few basic dance steps, it is Michele’s pleasure to help you become the dancer you wish to be. ▫ Brookline Adult & Community Ed.